Some of our feathered friends come to the Refuge as companions looking to find a true connection, whether human or bird. Read about residents who were welcomed to new homes. Interested in providing a forever home for a bird? Visit our adoption page to learn how you can be a part of this wonderful experience. 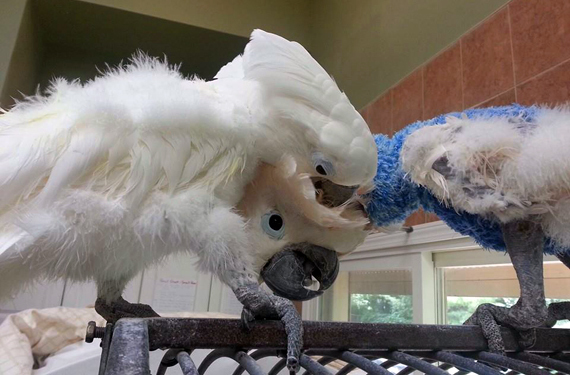 There are countless ways for you to become involved with homeless parrots. Help support our cause by making a donation or learning how you can become a volunteer! 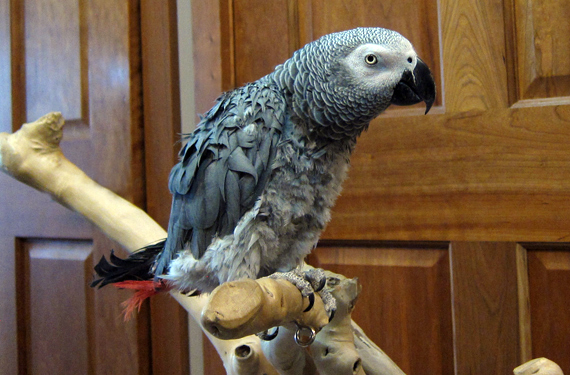 A Refuge for Saving the Wildlife is a no-kill parrot rescue, rehabilitation, education and adoption shelter. 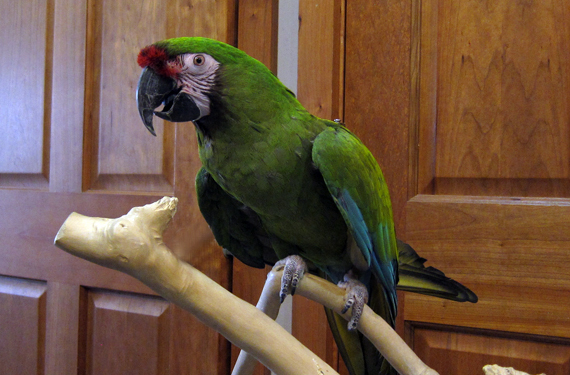 We provide a safe place for parrots that have to be re-homed due to unfortunate situations that sometimes arise. Most of them were loved dearly and cared for, and when that was no longer possible, their companion-people did the most selfless act of kindness in finding them a good home. 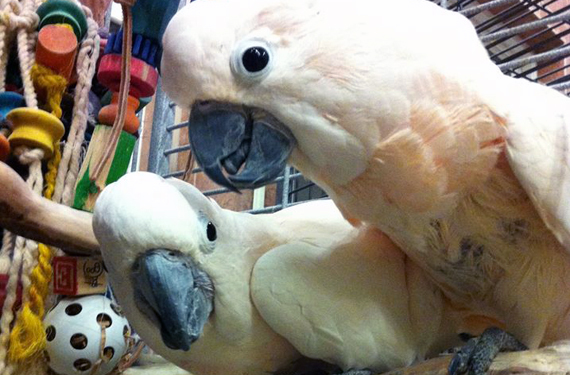 We work together with other parrot groups to eliminate the need for rescues. Until then, we will provide temporary housing and care for any and all Psittacine birds (not including those with fatal and/or contagious diseases); educate the public about the proper care of exotic birds; and locate healthy, happy, and nurturing homes for those that are eligible. The Refuge is established with the Internal Revenue Service as a 501(c)3 charitable corporation. We are licensed by the Illinois Department of Agriculture, Bureau of Animal Welfare to provide for adoptions. 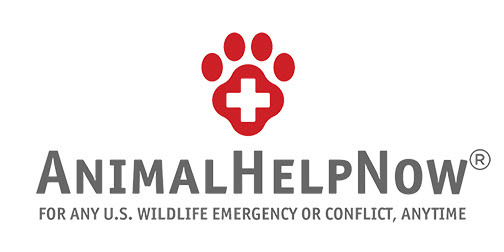 We are also a member of the Society of Animal Welfare Administrators. 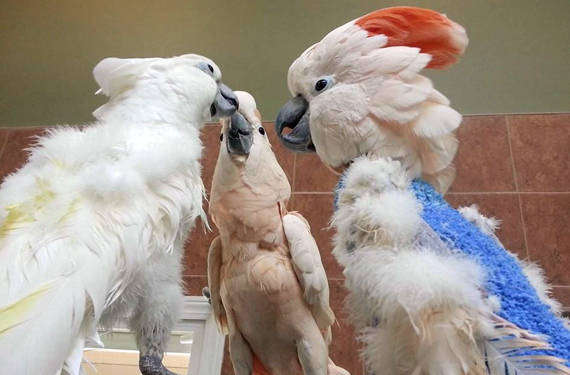 Please note: We do NOT handle anything other than PARROTS, if you have found sick/injured wildlife, click here to find a licensed wildlife rehabilitator. Are you interested in adopting? Read through our adoption process to learn how! What's New at the Refuge? See what has been happening here around A Refuge for Saving the Wildlife! To read more news, Click Here! e golf course will be open to observers from 4:30pm until dusk. Check-in the golf shop to receive an observer guide checklist or inquire about the inaturalist app. Make my cage my home! A happy bird is a healthy bird!